I love brownies but they have to be fudgy brownies. I mean, if I wanted a cakey brownie I would have just had cake. Also, I don’t like nuts in my brownies. I like nuts, just not in my brownies. These brownies are rich, very chocolaty, fudgy, and without nuts. That makes these an A+ in my book. In a large bowl stir together melted butter and cocoa. Add sugar, salt, and vanilla. Mix in eggs one at a time. Mix in the flour until well combined and gently stir in the banana slices. Pour into greased 8″ spring form pan or pie plate. Bake at 350* about 20 minutes. 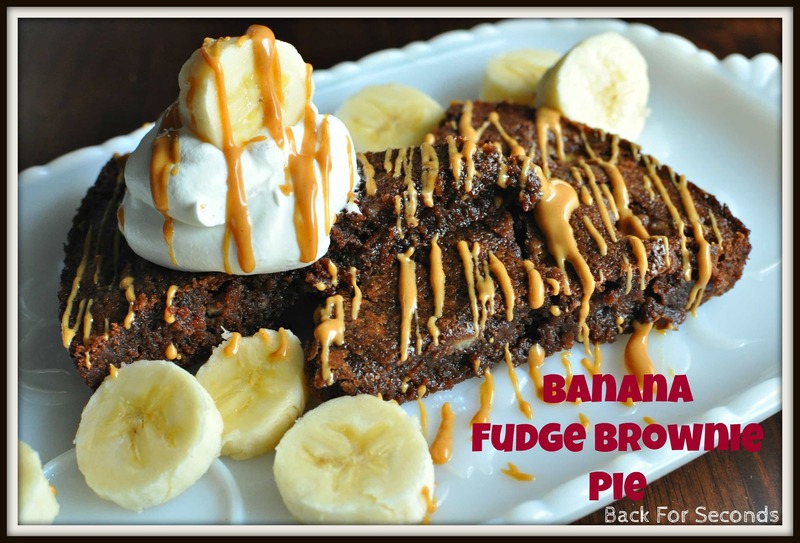 Do not over bake – you want these fudgy! Let cool. When ready to serve, top with ice cream (or whipped cream), and more banana slices. Drizzle with melted peanut butter. Enjoy! Oh my gosh. I suspect it could be very dangerous visiting here lol. This looks amazing!! Oh me oh my! 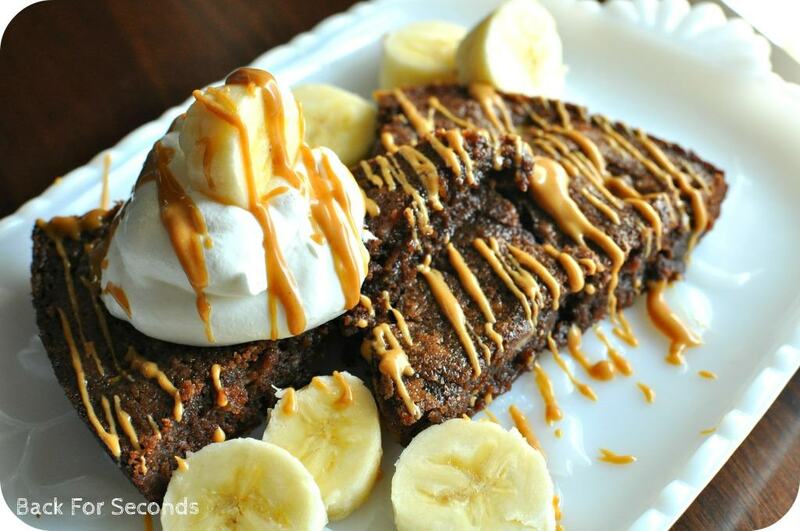 Your brownie pie look phenomenal! Thank you so much for linking up to “A Little Birdie Told Me…”. I know, my visit as ridiculously tardy. I’m pinning your post, so I can make the pie for my family and am spotlighting your recipe on my Facebook page today.